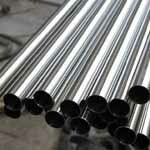 Nickel Alloy Round Tube, ASTM B161 Nickel Alloy Tubing, Nickel Seamless Tubes, Nickel Alloy Instrumentation Tubes Suppliers in Mumbai, India. 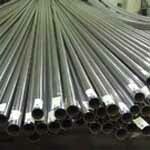 Nickel Cold Rolled Coiled Tubing Supplier, Nickel Heat Exchager Tube, Nickel Tubes Manufacturer in India, Nickel Polish Tubes, Exporter of ASTM B622 Nickel High Pressure Tube. 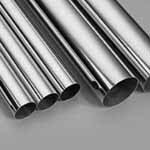 Ganpat Industrial Corporation has emerged as a prominent supplier, trader and manufacturer of Nickel Alloy Tubes in a wide array. 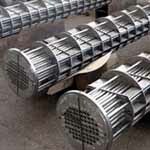 We also offer these products in different grades such as Nickel 200 Tubes & Nickel 201 Tubes. Once the composition contains at least 10.5 % chromium in our Nickel EFW Tubes, an adherent and insoluble surface film is instantaneously formed that prevents the further diffusion of oxygen into the surface and prevents the oxidation of the iron in the matrix. 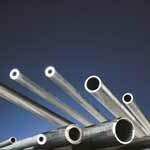 These Nickel 201 Seamless Tubes (UNS N02201) is parallel to Nickel 200 Welded Tubes (UNS N02200) and is a low carbon variation of the latter. 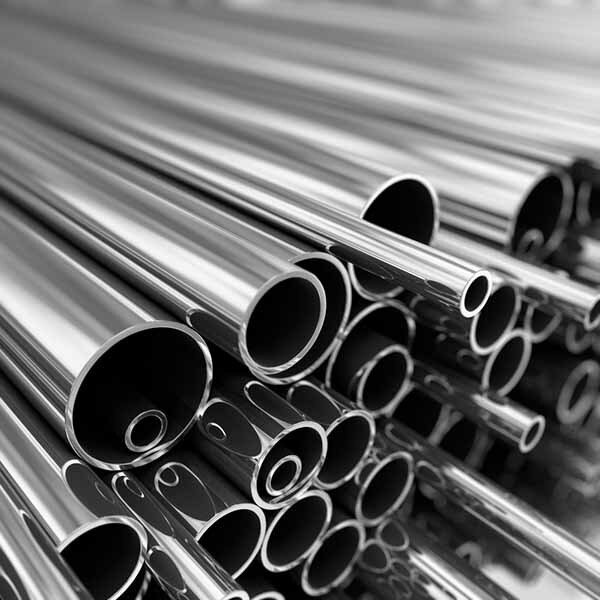 Our Nickel 201 Welded Tubes is a low carbon amendment of Nickel 200 Welded Tubes that has found applications in the electronic industries at temperatures till 649 Degree C. These commercially pure Nickel Round Tubes has characteristics that are useful in several fields, notably chemical processing and electronics. Resistant to all dry gases at room temperature and in dry chlorine and hydrogen chloride in Nickel Square Tubes may be used in temperatures up to 550 Degree C. Resistance to mineral acids in these Nickel Rectangular Tubes varies according to temperature and concentration and whether the solution is aerated or not. 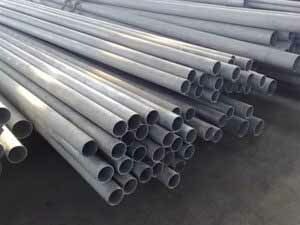 Corrosion resistance in Nickel Electropolish Tubes is better in de – aerated acid, where the higher the chromium level the greater the protection. 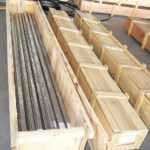 These Nickel Instrumentation Tubes form a solid solution in all compositions. 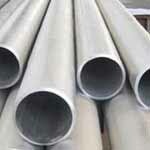 Nickel Welded Tubes, Nickel Alloy Seamless Tubing, Nickel Alloy Bright Annealed Tube Manufacturer in India, Nickel Decorative Tube, Nickel Alloy Welded tubing, Nickel Seamless Tubing, Nickel Alloy Santiary Tube. 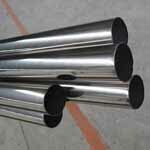 Nickel Seamless Tube may be furnished bare or coated and with capped ends. tubes up to 3” OD will be supplied in bundles. 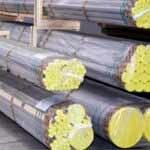 In order to prevent rust during sea shipment, bundles of Nickel Seamless Tubes may be wrapped with polypropylene sheets, and secured with flat steel bands. Over 3” OD will be supplied loose. Moscow, Gurgaon, Bhopal, Mexico City, Mumbai, Al Jubail, Edmonton, Courbevoie, Hanoi, Karachi, Thane, Houston, Indore, Seoul, Dubai, Doha, Tehran, Howrah, Rio de Janeiro, Ranchi, Chiyoda, Santiago, Busan, Vadodara, Atyrau, Kolkata, Chennai, Calgary, Geoje-si, Caracas, Lahore, Thiruvananthapuram, Montreal, Pimpri-Chinchwad, La Victoria, Jakarta, Navi Mumbai, Bangkok, Surat, Dallas, Ahvaz, Melbourne, Visakhapatnam, Istanbul, Cairo, Algiers, Perth, Lagos, Port-of-Spain, Ulsan, Kuwait City, Bogota, Hyderabad, Sydney, Dammam, Chandigarh, Singapore, Al Khobar, London, Brisbane, Hong Kong, Faridabad, Ernakulam, Ahmedabad, Kuala Lumpur, Secunderabad, New York, Nagpur, Petaling Jaya, Jamshedpur, Ho Chi Minh City, Coimbatore, Jaipur, Granada, Noida, Manama, Los Angeles, Baroda, Riyadh, Aberdeen, Toronto, Muscat, New Delhi, Nashik, Vung Tau, Pune, Ankara, Ludhiana, Gimhae-si, Madrid, Rajkot, Bengaluru, Abu Dhabi, Colombo, Sharjah, Haryana, Milan, Kanpur, Jeddah. Estonia, Zimbabwe, Israel, Serbia, Iraq, Chile, United Kingdom, Greece, Denmark, Ireland, Bangladesh, Russia, Afghanistan, Lithuania, Angola, Sweden, Morocco, Japan, Netherlands, Belarus, Sri Lanka, Algeria, Bahrain, Venezuela, Iran, Oman, Gambia, Tibet, Qatar, Azerbaijan, Argentina, Poland, Mexico, Puerto Rico, India, Norway, Nigeria, Hong Kong, Bhutan, Libya, China, Portugal, Turkey, New Zealand, Kuwait, Kenya, Thailand, France, Bulgaria, Romania, Kazakhstan, Iran, Taiwan, Germany, Nigeria, Costa Rica, Ghana, Chile, Namibia, Mongolia, Ecuador, Saudi Arabia, Switzerland, South Korea, Brazil, Yemen, United Arab Emirates, Italy, Lebanon, Spain, Australia, United States, Indonesia, Nepal, Finland, Philippines, Peru, Poland, South Africa, Jordan, Trinidad & Tobago,Tunisia, Egypt, Singapore, Gabon, Canada, Belgium, Macau, Colombia, Hungary, Croatia, Slovakia, Austria, Bolivia, Vietnam, Ukraine, Pakistan, Czech Republic, Mexico, Malaysia.